These Vegan Dirty Chai Energy Bites taste just like a Dirty Chai Latte and are the perfect way to beat the afternoon slump. They’re fantastic for on the go, healthy, medicated snacks and dessert during the week! They combine the warm spices of chai tea with espresso powder, alongside rolled oats, chia seeds, protein packed almond butter, and sweet tooth-satisfying, not to mention antioxidant and magnesium packed cacao nibs, give this bite-sized snack the perfect nutrient boost! Ingredients: Cinnamon, Cardamom, Ginger, Allspice, Cloves, Nutmeg, Old Fashioned Oats, Espresso Powder, Chia Seeds, Almond Butter, Maple Syrup, Vanilla, Cacao Nibs, Extra Virign Coconut Oil, THC Distillate. Strength: 50mg Hybrid THC Distillate per bite, 2 Bites Per Package! **It is not essential that these be refrigerated, but it helps the balls to keep their shape. 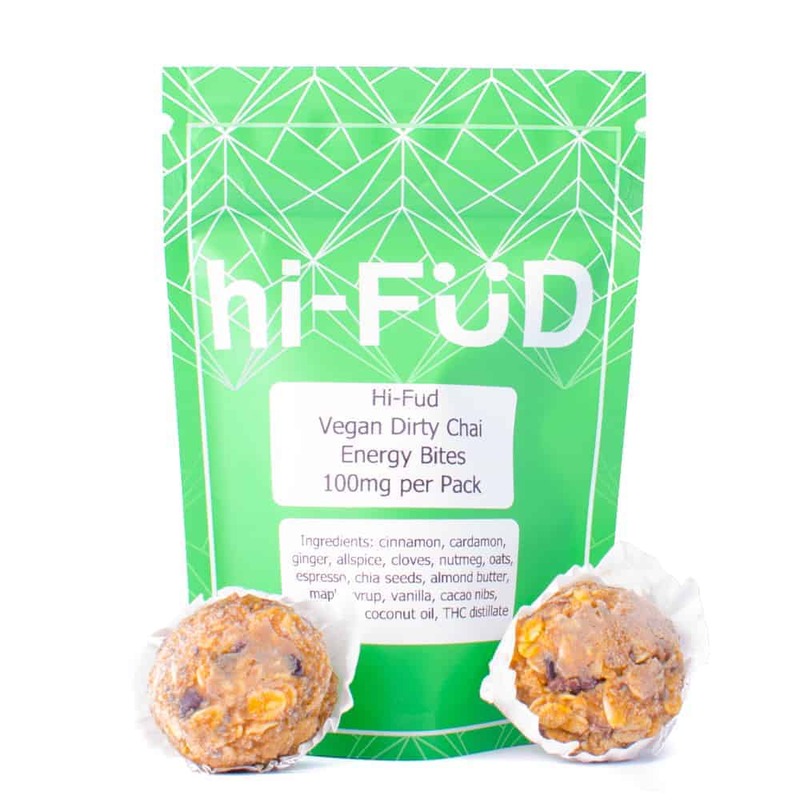 2 reviews for "hi-FÜD – Vegan Dirty Chai Energy Bites – 100mg THC Distillate"
Couldn’t have been more impressed with the taste and effects.